Before I say anything else, quick convo regarding my outfit details from Thursday night’s Love Party. Dress: Bailey 44 Georgian Dress < – So cute and comfortable, it’s the perfect dress to have in your closet as a staple, go-anywhere outfit. Pretty sure I’ve mentioned it in past blog posts? It’s definitely worth every penny although see if you can get it on sale. Shoes: Tory Burch < – Best black heels ever. Super classic and comfortable, you will have them for years and live to walk the city streets for miles to tell about it. I like this pair too. And the up close and personal, end of the night no lipstick messed up hair because it rained bathroom selfie which I sent to Heather because that’s what we do when we need to see each other’s outfits. Moving on! It’s Monday again. Bleh. Weekends fly by WAY TOO QUICK. The Super Bowl didn’t help – my son now wants me to take him to school late because he’s tired. A few weekend highlights since we last spoke about something other than workouts. Did you catch my workout recap yesterday? Here’s the link if you missed it. Pizza and salad night Friday night with my son. Speaking of salad, when a friend is hungry but I already ate, I never say no to joining them out to eat. I always go and order something. My something is typically a house salad. 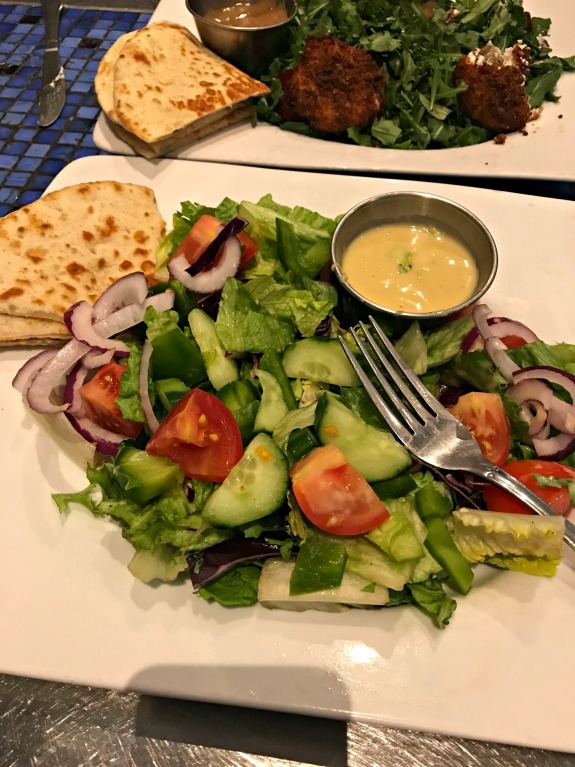 You can always eat a little more and a plain house salad goes down just fine. 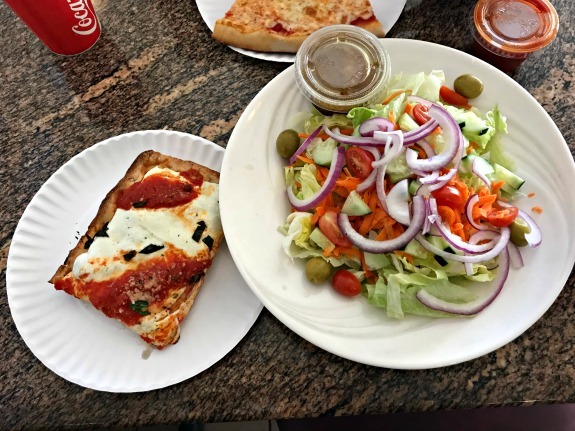 It never matters the restaurant, I can always find a house salad be it a sushi spot, diner, Italian restaurant, wherever. I brought my full appetite to dinner Saturday night though for sangria, vegetable fajitas and nachos. 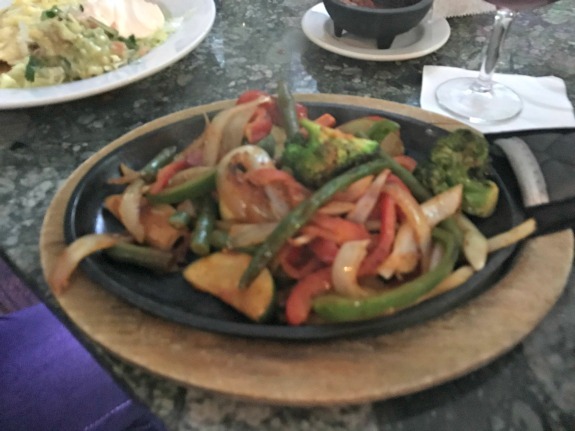 Only caught a picture of the sizzling vegetable fajitas plate. Aside from food, I ran around like a crazy person going to Home Goods, Pottery Barn, Target, and those types of stores over the weekend. On a whim, I bought new bedding this week and now need to fill in with throw pillows, extra sheets, new lamp shades, picture frames, and bathroom accessories…because that’s what happens when you change ONE THING in the house. You should know that I have zero patience for stores like Home Goods so I’m not sure why I go there. I had to leave once I saw the line at the register. Quick look at my new glasses though! When I ordered the new sunglasses last week, I also bought new glasses. I think these glasses raise my age a bit. They have me looking more mature and sophisticated. Or just old. I am getting old you know, approaching 40. I need to keep saying it so maybe it starts to sound real. This whole 40 thing is getting weird. 40 sounds like an adult. Like a parent. Like my parents. I’m not old enough, you know? February begins the birthday’s for my friends from growing up so we are starting to really discuss this craziness of us turning 40. It doesn’t make sense! We are still kids! So what if we have kids, WE are still kids! How did this happen? When did this happen? Every move we make, every ache we feel, every time we are tired, fall asleep early, or have no patience, we blame it on our age. We are turning 40 now! This is what goes on at 40! I’m certainly not going to be that girl (see, I’m a girl, not a lady) who remains 39 forever. Most of the time, I find this 40 thing funny. Like, HA I’m going to be 40! How ridiculous! Age is just a number, at least that is what I tell everyone else until it’s my turn in June. Are you a Home Goods shopper? 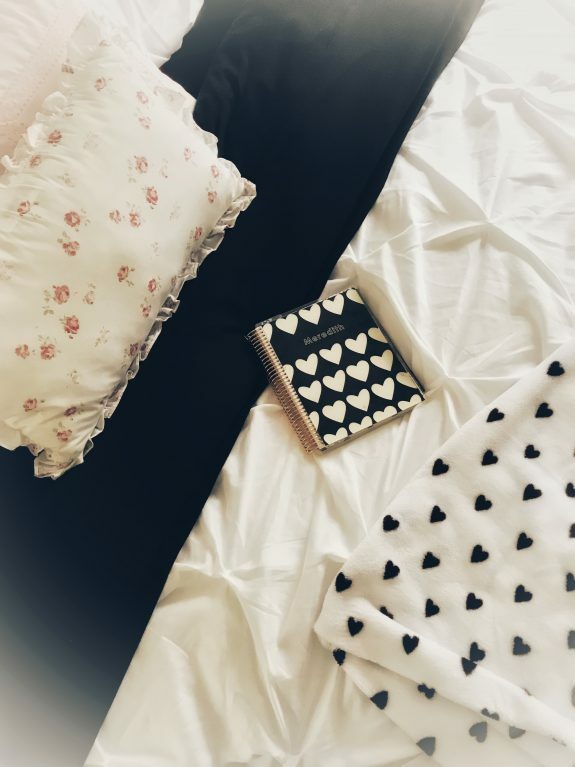 When was the last time you bought new bedding? Did it make you change everything else in the house? I like Home Goods but I try to go when no one else in there! Otherwise it can be impossible to navigate the aisles. With getting older its always helped me to have a later birthday so I get used to the idea of being a certain age before I get there. And Rob is a year and a half older than me so that helps too. 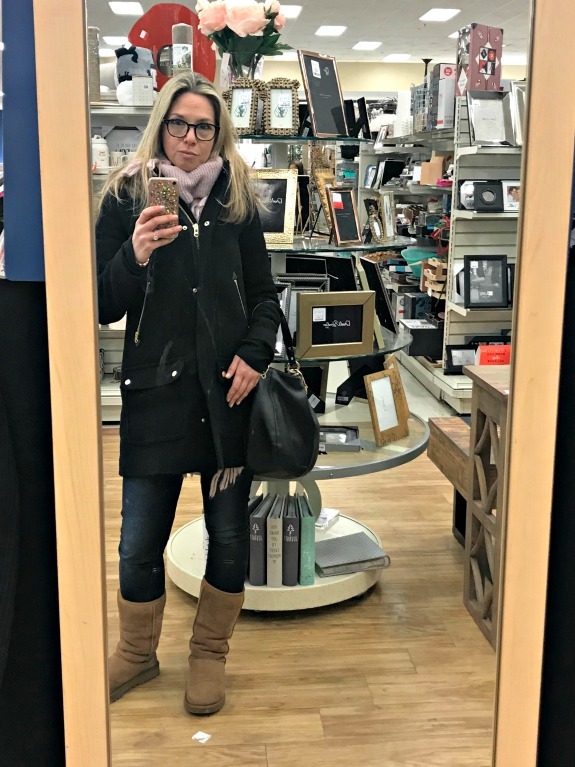 HomeGoods completely overwhelms me – I can’t shop there. It’s boggling my mind that I’ll be entering a new decade in just over a year (and that Ryan already has) because I feel like we were just college kids. Home Goods is a love/hate relationship for me! I find some really awesome pieces but if I don’t go right when they open then I find the line to be crazy at times. I haven’t bought new bedding in years because when I moved furniture was more important to me than new bedding lol. Now I don’t plan on buying new bedding until we buy a larger bed in a few years. ha, I totally know what you mean! Yes age is just a number! my parents always say that they’re one year closer to heaven. Best thing I ate this weekend? It might have been the Noosa Peanut Butter chocolate chip banana cup yogurt I ate last night. I love those glasses on you! I think they look super chic actually :p And omg I’m about to turn 20, and I know this sounds stupid, but I’m like WHAT 20?! That’s like an adult!! But I totally agree that it’s all about how you feel on the inside. And adulthood is so much more fun when you keep your inner child close and remember not to take yourself too seriously. ha, I probably thought the same thing at 20! it goes so fast! 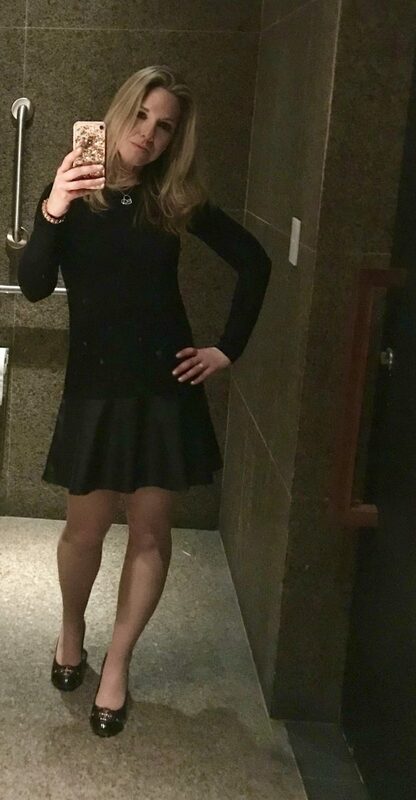 Everyone needs a cute black dress in their closet and this definitely fits the bill. I like the new glasses too. I need to buy new bedding since my comforter has sprung a leak and their are feathers all over the house. Sigh. I’m turn 40 next month. How on earth did that happen?